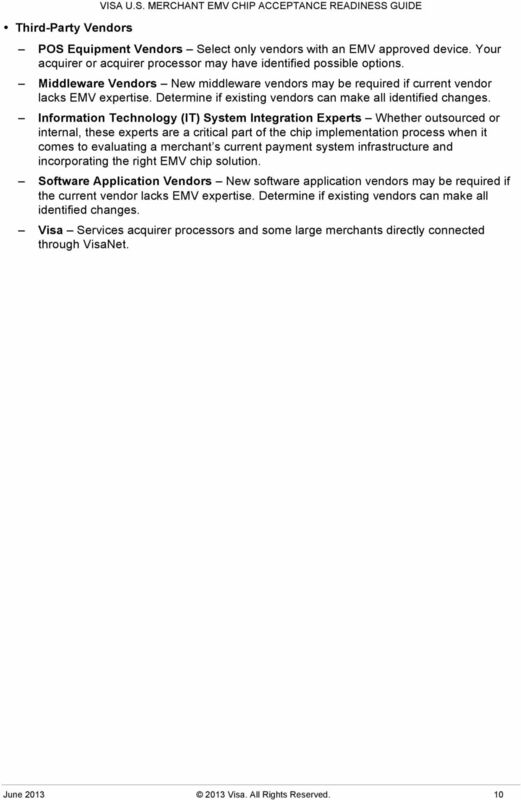 Download "Visa U.S. 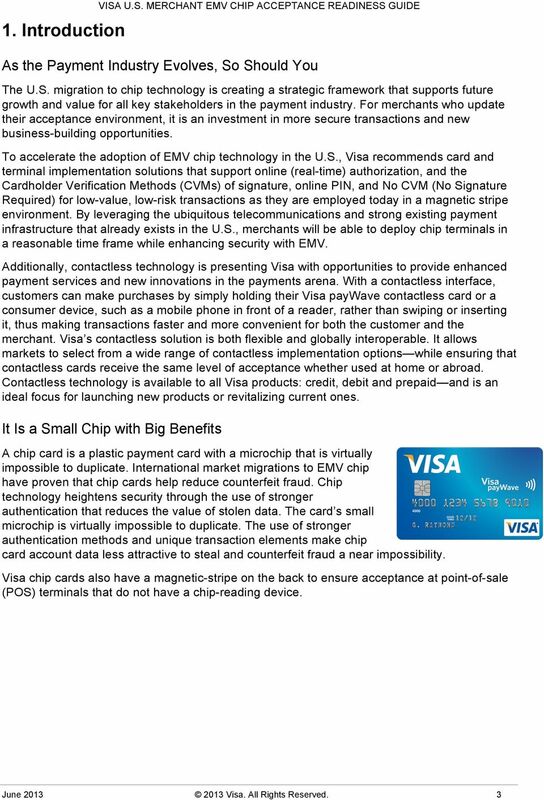 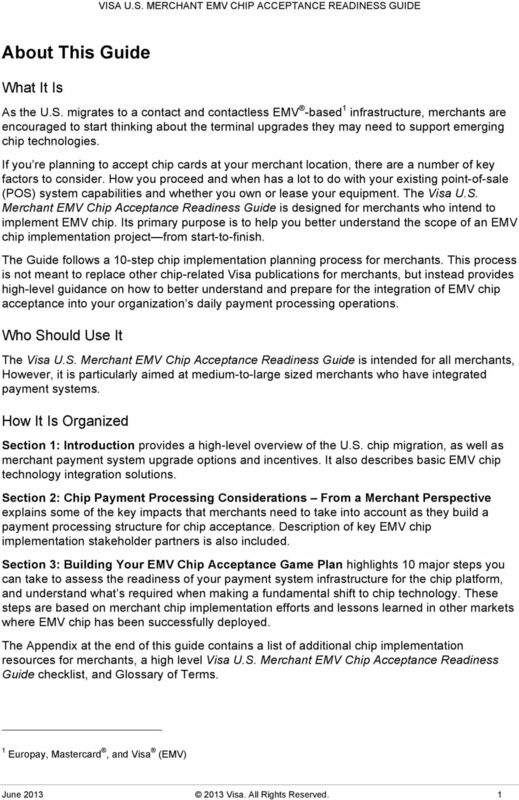 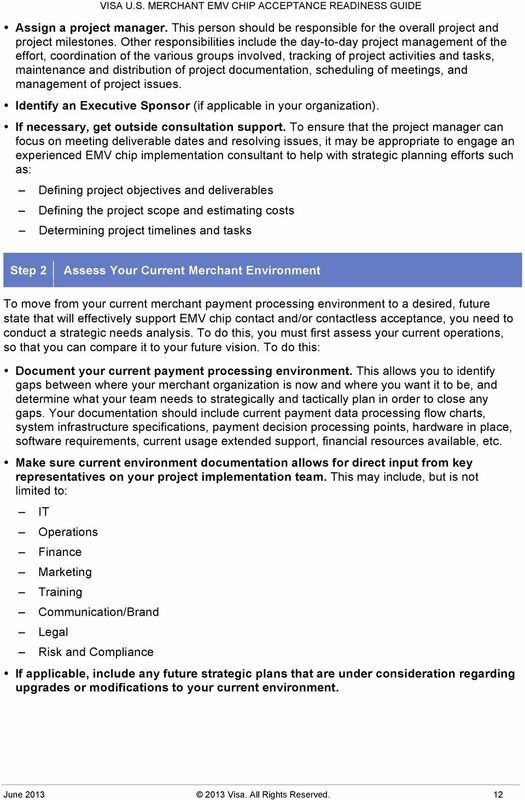 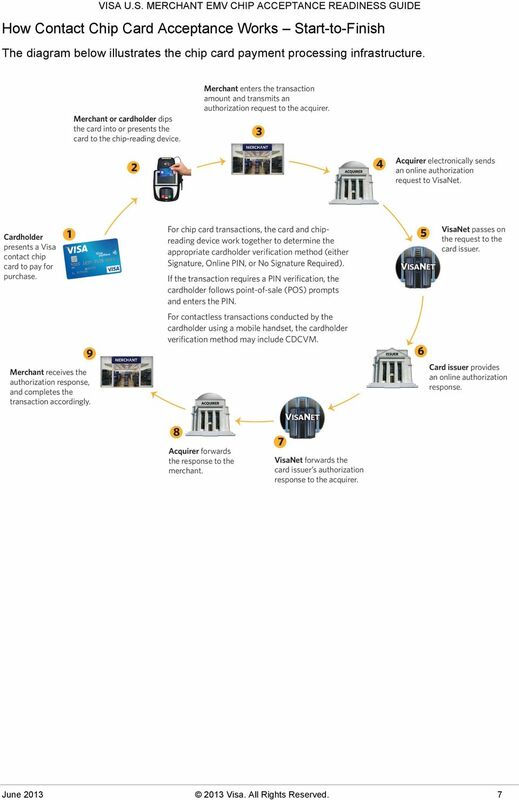 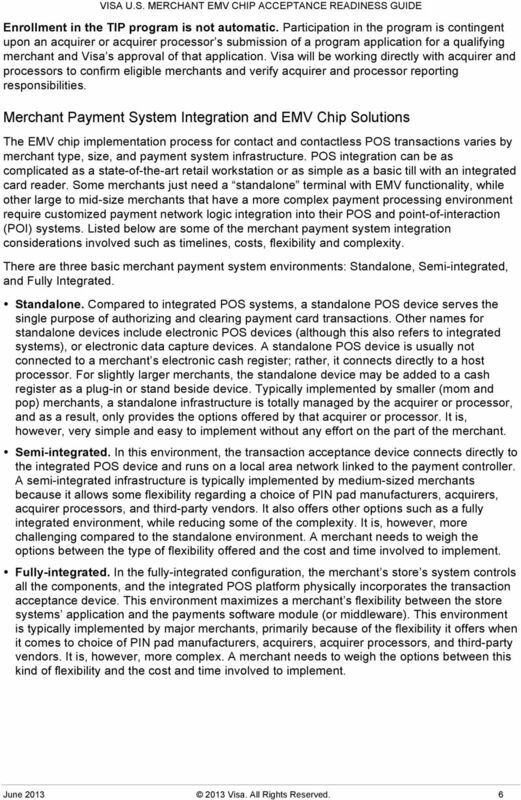 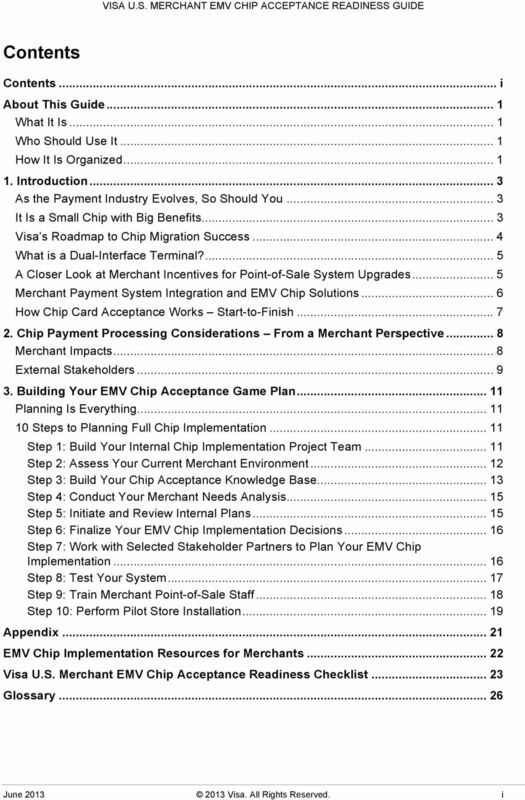 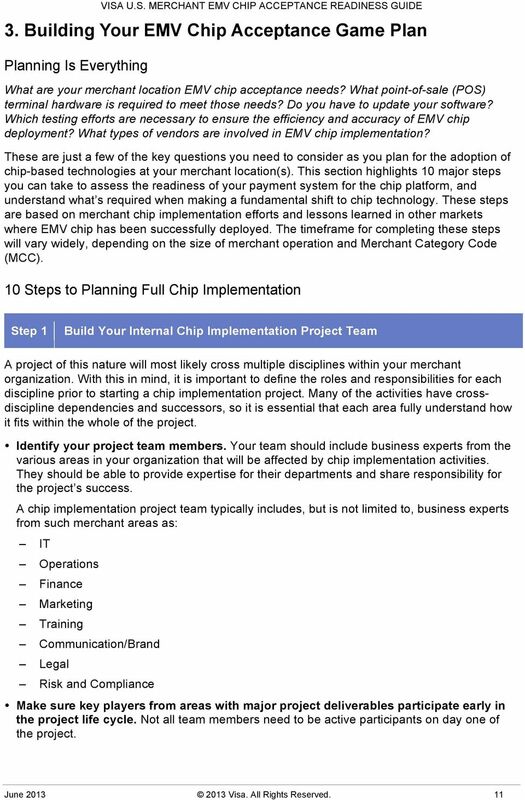 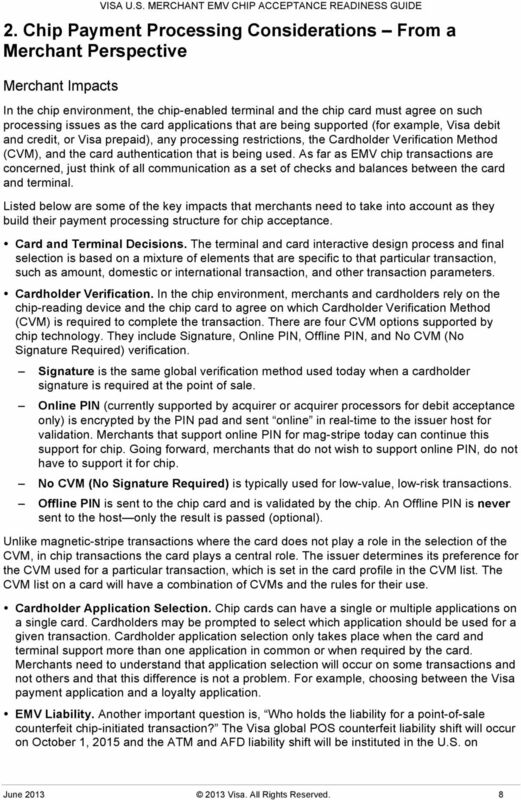 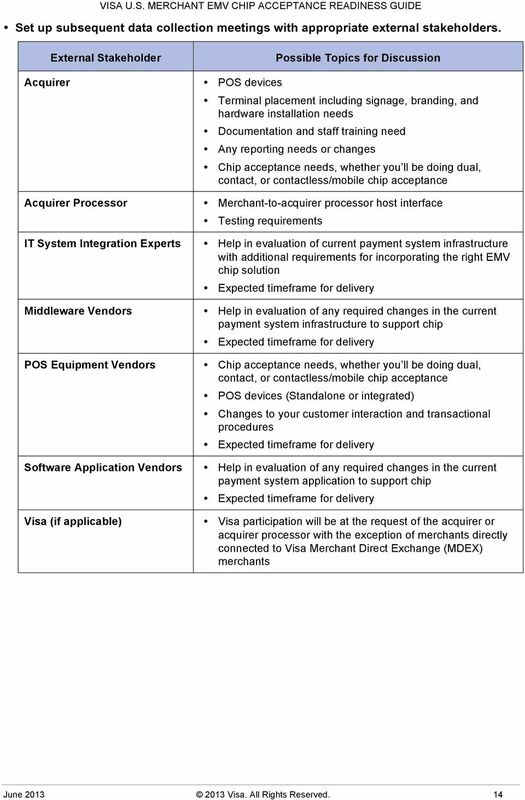 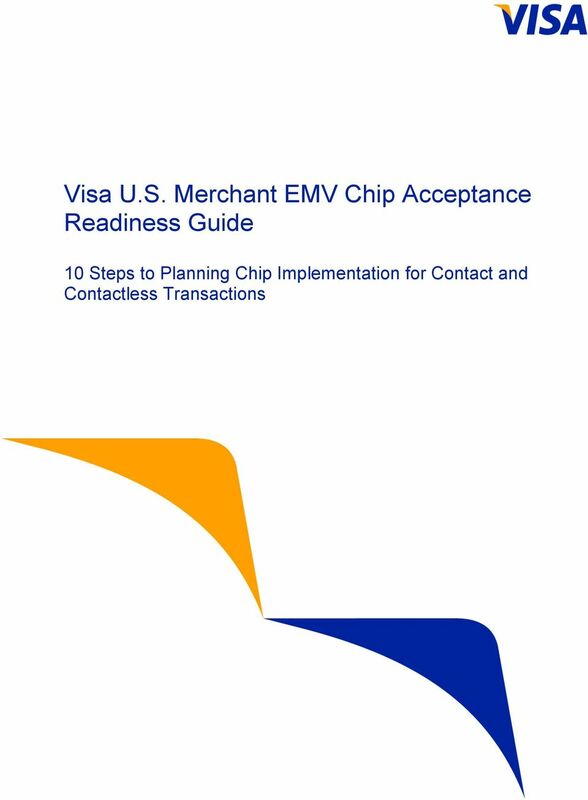 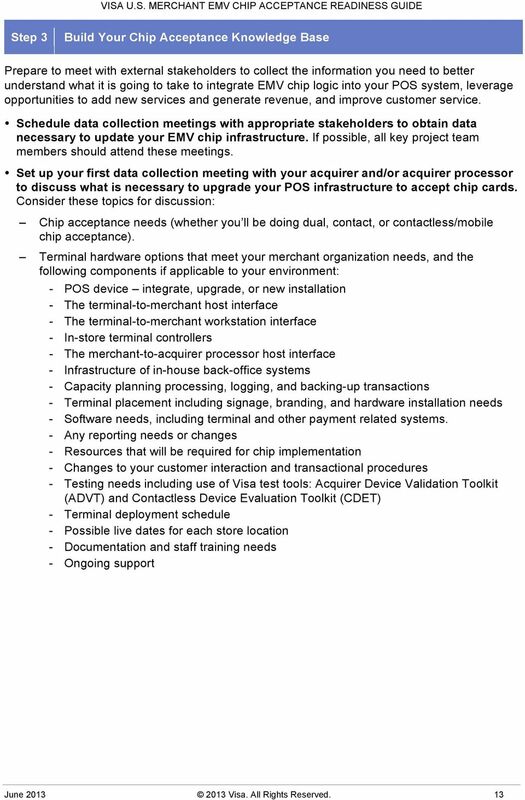 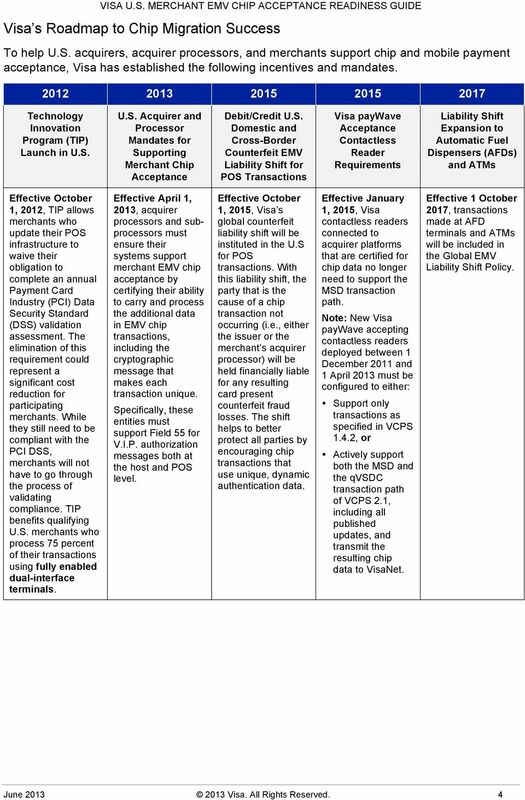 Merchant EMV Chip Acceptance Readiness Guide. 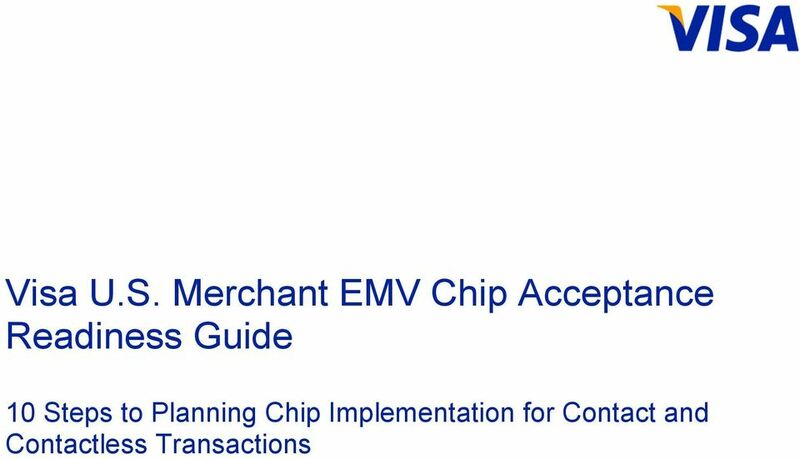 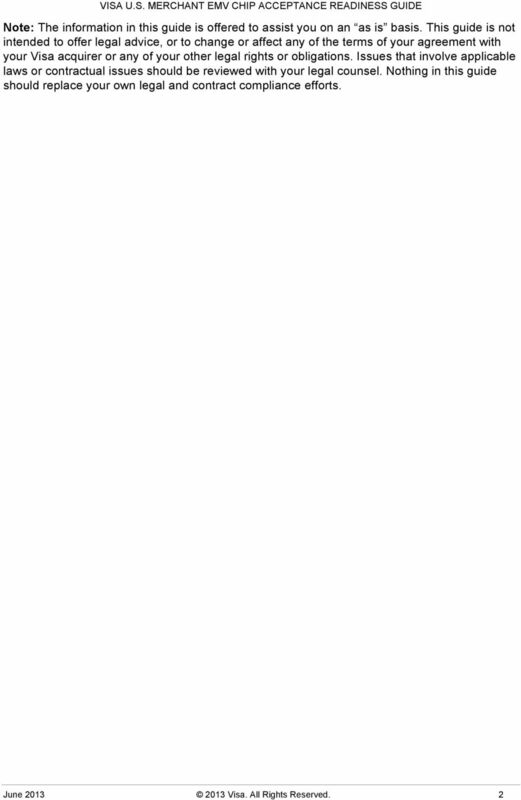 10 Steps to Planning Chip Implementation for Contact and Contactless Transactions"
3 THIS PAGE INTENTIONALLY LEFT BLANK. 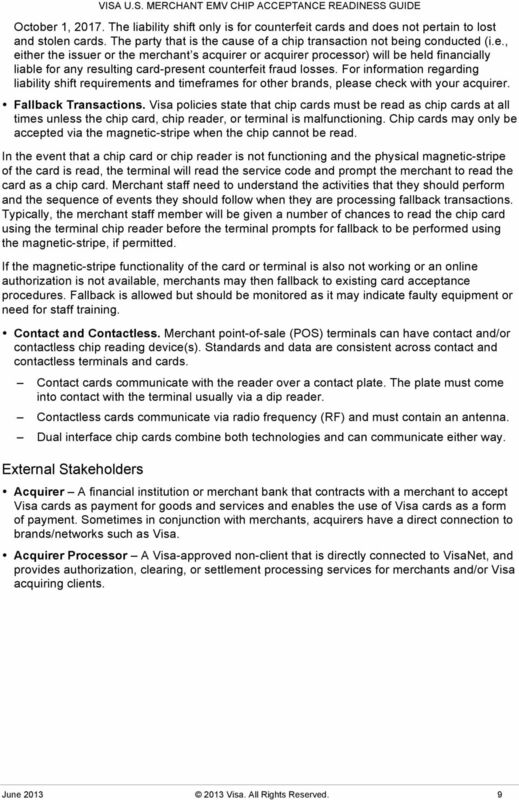 PayPass M/Chip Requirements 10 April 2014 Notices Following are policies pertaining to proprietary rights, trademarks, translations, and details about the availability of additional information online. 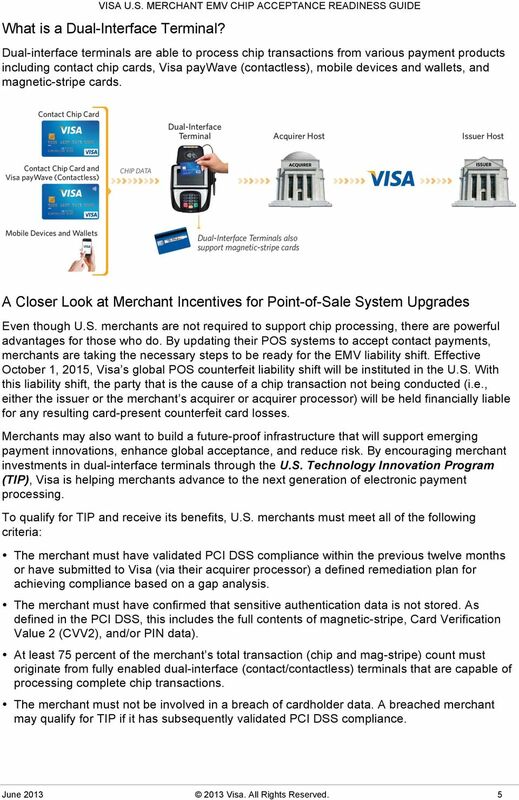 ICS Presents: The October 1st 2015 Credit Card Liability Shift: This Impacts Everyone!